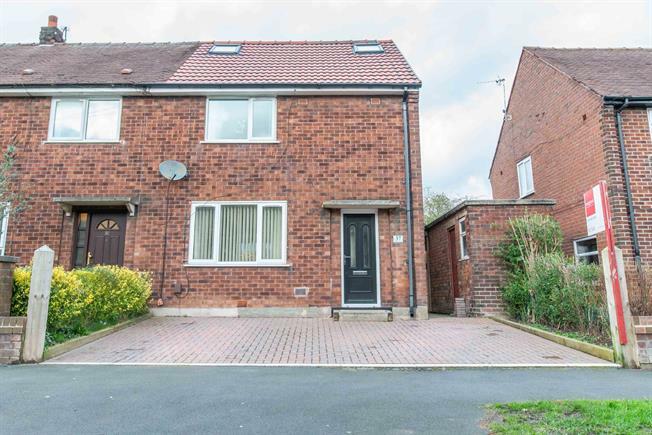 3 Bedroom End of Terrace House For Sale in Stockport for Offers Over £215,000. An impressive three double bedroom home. This superb home is in immaculate condition throughout and is a credit to the current house proud owners. The home has undergone a huge transformation where no expense has been spared on a stunning loft conversion complete with en suite facilities. There are a further two double bedrooms and family bathroom to the first floor. This home offers a superb spacious kitchen which overlooks a large lawned garden which is a superb space to entertain both family and friends. The home also benefits from having off road parking for several vehicles. An impressive three double bedroom home with en suite facilities off road parking and loft conversion..